"Caaaaarl, come out and play." 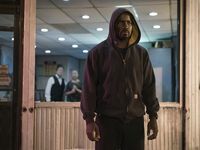 Luke Cage is supposed to be a bulletproof man with unbreakable skin. Cornell Stokes, better known as Cottonmouth, is supposed to be the man who runs Harlem's shadows. If "Manifest" did anything, it completely reinvigorated the first season of this Marvel season. 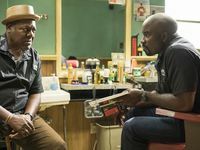 The story so far revolved around these two men who were drawn on opposite sides of the streets, led different lives, but were built to lead each side of this story. Manifest, however, completely changed all of that. 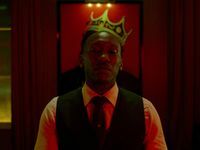 Cottonmouth is no more courtesy of his cousin Mariah Dillard, while Luke Cage met "Judas" - the bullet capable of piercing the strongest armour - courtesy of the heavily-mentioned Diamondback, Willis Stryker. It proved to be the first weapon that could threaten Cage, and the now vulnerable Power Man has to try to recover while protecting those close to him and avoiding Diamondback's killer blow. Erik LaRay Harvey is perfect as Diamondback. He is intimidating, he is powerful, and he proved he can deliver quite the sermon in an intense stand-off between him and our hero. While Cage is under threat, Misty Knight has to battle her colleagues during the investigation of Cottonmouth's death. 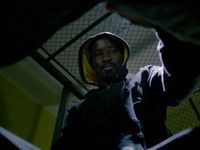 We know Luke Cage was nowhere near the crime, but everything - the evidence carefully crafted by Shades Alvarez - and the "witness" point to the Power Man. Knight may not be certain whether or not Cage was involved, but she faces more trouble from her superiors and those of whom she is investigating. This episode raises a lot more questions than can be answered, but it seems Diamondback is well on top.